Craving a delicious Chinook Salmon? Delicious Chinook Salmon Fish are just waiting to be caught! July got off to a wet start..but it hasn’t slowed the ﬁsh down. 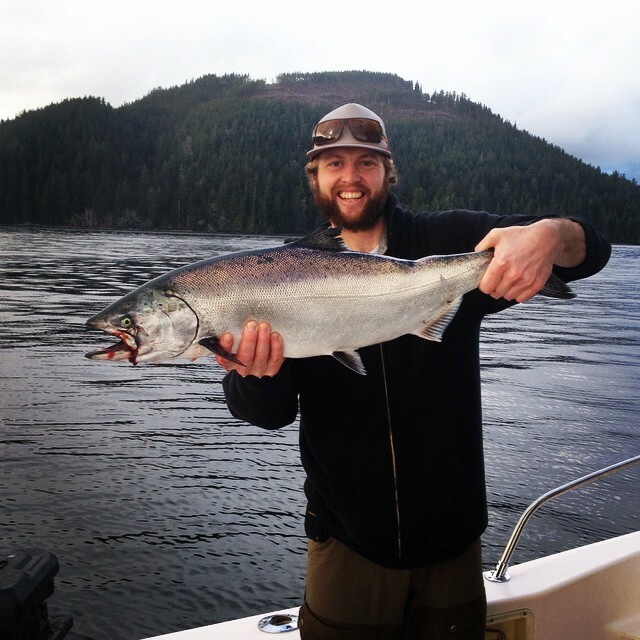 Wicked Salmon Sports Fishing is well into our 2016 ﬁshing season, proving once again that the northern tip of Vancouver Island offers some of British Columbia’s best ﬁshing grounds. Half way into our summer season, many of our ‘regulars’ have already come and gone with another freezer load of rations until next summer. 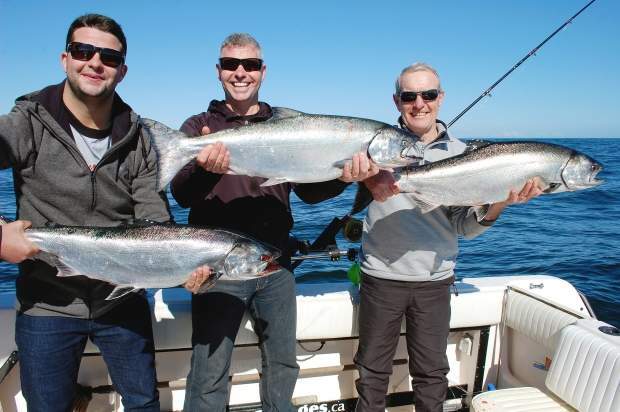 Alex, Steve and Bob MacNaull show off their Chinook salmon catch on a three-generation boys fishing trip off the northern tip of Vancouver Island. Wondering which fishing and resort package is best for you? The 4 night, 3 day ﬁshing package proves to be the most popular. 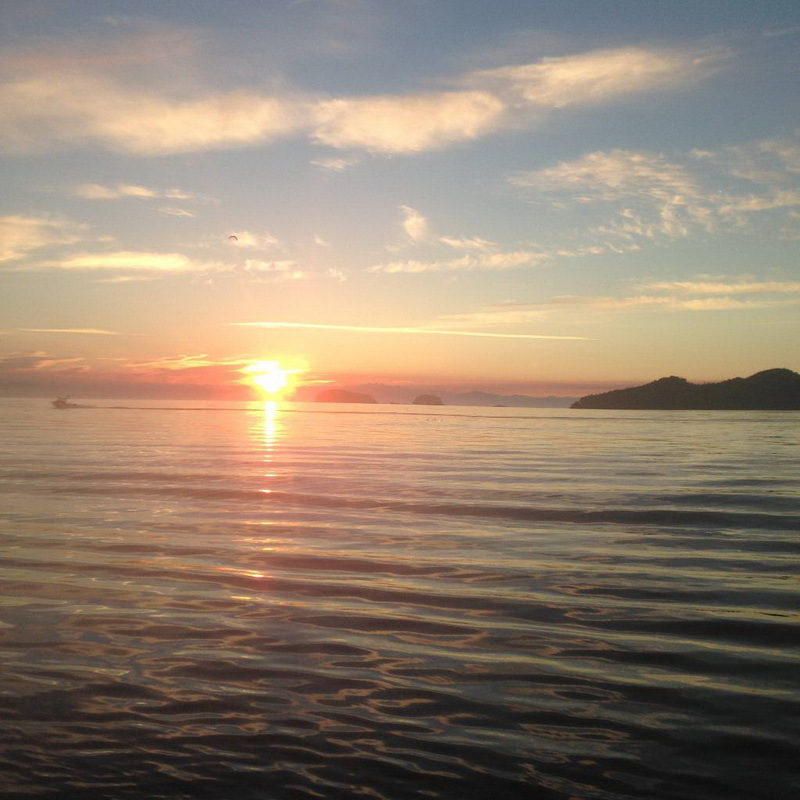 This allows you to catch a variety of fish types and enough time to make Bear Cove Cottages your home away from home. Comfortably, Bear Cove can sleep four people per cottage. For the admirable couples who choose to make it into a romantic getaway vacation, there are king bed cottages, with private, in-room jacuzzi soakers. 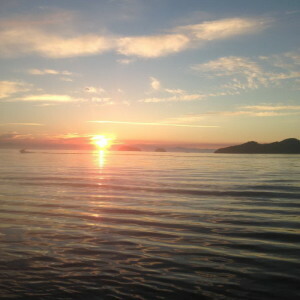 Then greet the dawn with the Gradys’ who leave the dock and head up some 30 miles to the best fishing grounds around. Coffee in hand, the excitement of the day is beginning with an incredible backdrop. Once there, your guides Wade Dayley and Lucas Grayson form a respective tack formation, working in sync to ensure the best chances possible of the catch of a life time. Bait is checked often, to make sure it is still spinning ever so perfectly, enticing the next Chinook to take a nibble. Bam! Just like that the rods go off, ﬁsh on! Up comes the electric Scotty down rigger and the screaming reel is passed into our guests hands.The art of not get your knuckles busted off is learned (sometimes the hard way). Practice your fish reeling technique! Let the ﬁsh take line, tire him out before you get him to the boat and catch that ﬁrst glimpse. Bring to the boat. Repeat. This is all in a day’s ﬁshing with Wicked Salmon at Bear Cove. Experience Quality guide services with entertaining, knowledgeable staff determined to make your ﬁshing trip like no other.